DSR was awarded in the Computerworld`s competition `IT Leader 2018`. In the competition, DSR presented its own SFC 4FACTORY solution, which supervises the execution of production orders. 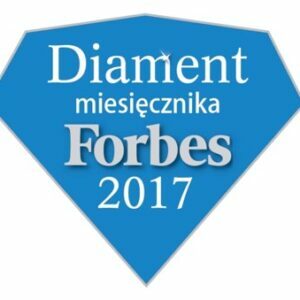 It won the recognition of the jury, which being impressed by the unique functions of the system, awarded DSR with the distinction for the best IT solution in the `Industry` category. 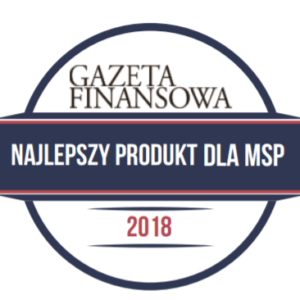 DSR received a distinction from Gazeta Finansowa in the category of software, for SFC 4FACTORY. Turbiny Polskiej Gospodarki is a cyclical report of Gazeta Finansowa in which the best products for Small and Medium-sized Entrepreneurs are presented, as well as the financial results of small and medium-sized companies present on the Warsaw Stock Exchange. 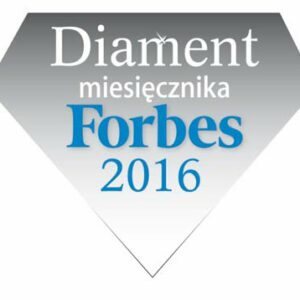 DSR has been recognised as one of the fastest growing small and medium companies in Lower Silesia by biggest polish business newspaper “Puls Biznesu”. 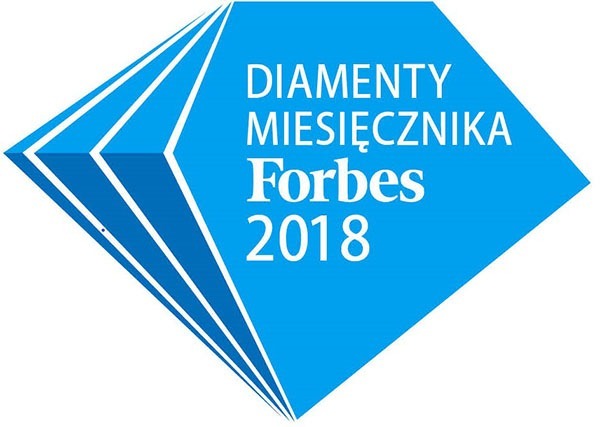 DSR has been awarded by Forbes, the most prestigious business magazine in the world, an award for the fastest growing companies in the Lower Silesia. 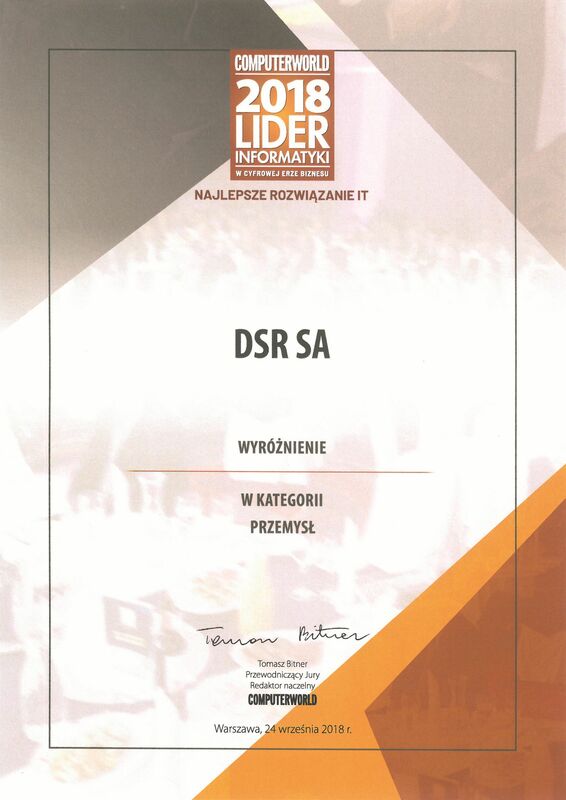 DSR has twice been awarded “The best IT supplier for the industry” award in Poland by the manufacturing Systems Information magazine in the category of implementation of APS . The award is even more significant as it was based on Client’s opinions. The benefits from applying the implemented software are the basic arguments to awards the supplier.